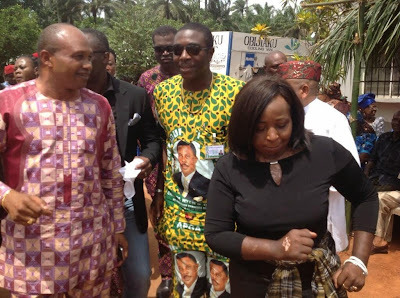 The remains of foremost producer, writer, director and a leading player in the Nigerian motion picture industry, Amaka Igwe, were laid to rest today in her marital home, Ndiuche Arondizuogu in Imo State. May her soul continue to rest in perfect peace. Amaka died at the age of 51, on the 28th of April, from complications resulting from an asthmatic attack. She is survived by her husband of 21 years, Charles Igwe, three children, an aged mother and siblings.